We are looking to appoint an Officer - Beyond St Jude’s to be responsible for supporting the Beyond St Jude’s Community Service Year (CSY) program for St Jude’s graduates. The ideal candidate will have a passion for community development and a strong interest in NGO’s. Advise Form 5 and 6 students on Beyond St Jude’s Community Service Year (CSY) program. Assist with CSY intern applications. Liaise with Headmasters of local government schools for available teaching positions for CSY interns. Liaise with St Jude’s departments for available positions for CSY interns. Arrange CSY intern placements for Form 6 graduates in local government schools or St Jude’s departments. Organise the annual Work Readiness workshop. Support and mentor CSY interns during their placement, including visits and reviews. Assist the Beyond St Jude’s team with growth and expansion of CSY program. Adhere to strict annual workflow program. Assist students with career guidance, scholarship and university applications. Work with other members of the Beyond St Jude’s team and in other areas of the department’s duties. Periodically suggest improvements to the department’s procedure and submit to your supervisor for approval. Participate and support fellow staff in school mission related activities such as all school celebration days. Participate in student selection process, including house checks after hours and on rest days up to 20 Saturdays per annum. Perform any duties as assigned by Heads of Department, Managers and Founding Director. Travel between campuses, visiting Government schools and universities. A minimum of two years’ experience in a teaching role in a secondary school. 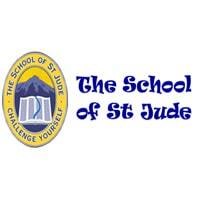 The School of St Jude has a zero tolerance policy for any form of child abuse.